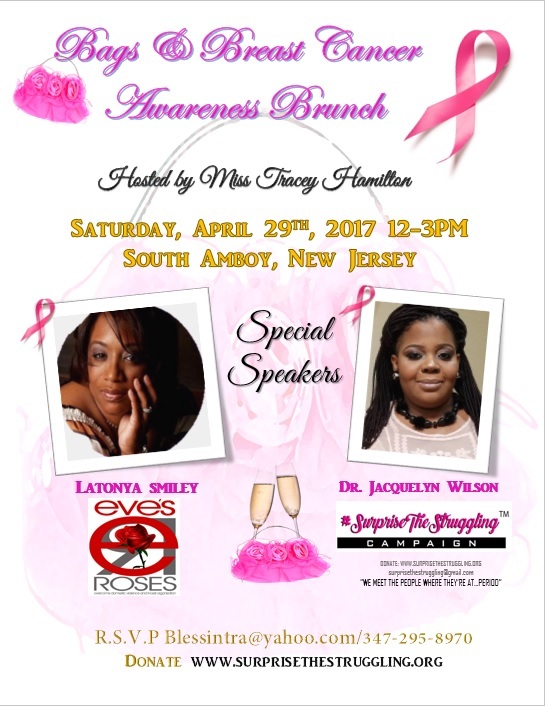 Our very own, Founder and Executive Director, Dr. Jacquelyn Wilson will be a special speaker at this year’s Bags & Breast Cancer Awareness Lunch. 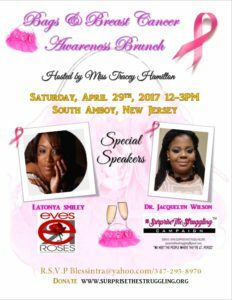 The event will take place in South Amboy, New Jersey, hosted by the lovely Miss Tracey Hamilton. Guests are encouraged to R.S.V.P as soon as possible to, Blessintra@yahoo.com/347.295.8970. If you cannot attend, but still would like to donate, please visit our Giving Back page and click on the link to make a donation. No amount is too small. 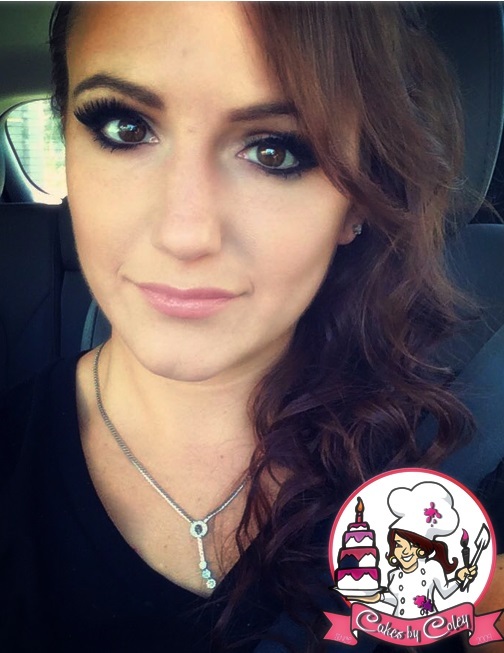 Celebrating Women’s History Month…Vanessa E-El! Bonus! We have a few more women we want to acknowledge this March! 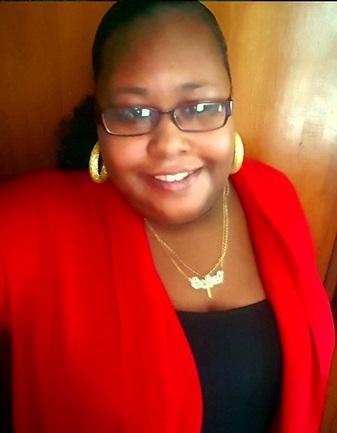 #SurpriseTheStruggling’s thirty-third highlight this month is the invaluable and dedicated Vanessa E-El—#SurpriseTheStruggling’s friend, supporter and event strategist for our yearly Gift-Giving Extravaganza. We are no stranger to Vanessa and her dedication to the support of local organizations and businesses. We were fortunate to team up with this beautiful soul on many different occasions, including our sister organization, The Stop Bullying Project®. Vanessa has long had the reputation for stellar and unparalleled business acumen. 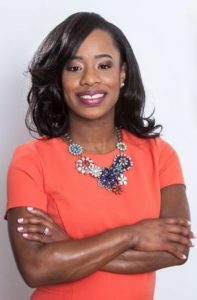 Her work ethics and sincerity while working with clients have set her apart, raising the bar for many others in Project Management and Events. We are grateful that we have had the opportunity to work with Vanessa and to also have her represent who we are as an organization. It is important to #STSGlobal to meet the needs of the people where they are…period. Often times, success will blind us and make us forget about the struggles that others may be experiencing. So it is paramount that those who work with us, volunteer and represent us as Ambassadors, are of the same mind when it comes to our goals, vision, and mission. Vanessa not only understands who we are and what we want as an organization and a brand. She embodies the mission and spirit of #STSGlobal wholeheartedly. We are profoundly grateful to all that Vanessa has shared with us over the years. Her organization skills, her people skills, her dedication and commitment to seeing a job through and to her clients, and whom she represents, have forever endeared Vanessa to our hearts. We salute you, Vanessa E-El! Thank you for being a dedicated friend and supporter throughout the years! We stand with a grateful heart, having you as part of the #SurpriseTheStruggling Family! Celebrating Women’s History Month…Janine Smalls-Gueye & Lanise Herman-Thomas! Our celebration of Women’s History Month continues. #SurpriseTheStruggling’s twenty-seventh highlight this month is a dynamic duo of dedication and motivation; kind of like having a double shot espresso, the team of Janine Smalls-Gueye and Lanise Herman-Thomas—#SurpriseTheStruggling’s reminder of how powerful sisterhood is, and how much you can accomplish when we work together with a spirit of support, understanding, and determination. Each woman deserves to be singled out for their generosity and valuable time that they so generously give towards the success of #STSGlobal and carrying our mission forward. In their own right and as individuals Janine and Lanise are exemplary in all that they do. They give of themselves, each bringing to the table something unique and inspiring. Yet, as a team, they have proven to be even more impactful and leading example that one: women can work together and birth something powerful. In addition, two: when women come together to build one another up; especially wives and mothers, there is absolutely nothing that can stop them from accomplishing their goals. Janine and Lanise both embody the spirit and mission of #STSGlobal. Providing services that are needed, meeting the people where they’re at, forming a community that is a wealth of ongoing support, and encouraging and motivating others to take the necessary steps in their lives to be all that they desire to be. The sisters have proven that visions and dreams to come to pass when you work together and have a team of support and people that believe in you. Janine and Lanise have more than proven that they believe in what #STSGlobal is doing. They believe in who we are as individuals, team members, and an organization. Janine and Lanise are beautiful examples of what love and dedication look like in action. We humbly accept and appreciate their advice, guidance, and friendship, as well as their support in our journey of helping others. Janine Smalls-Gueye and Lanise Herman-Thomas—Wives, Mothers, Sisters, CEOs, Scholars, MPA, MBA, Entrepreneurs, Educators, Tutors, Motivators, Visionaries, Authors—are the CEOs and founders of not one but two organizations— Peoples Resource and Development Association, (P.R.A.D.A) and Wife Mom Entrepreneur—that have been and are changing lives and communities, and making a difference in the lives of countless women every day. 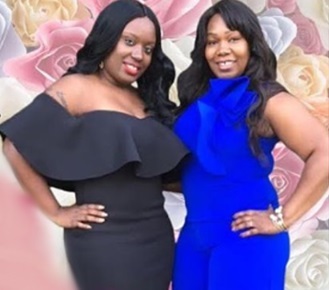 We salute you, Janine Smalls-Gueye and Lanise Herman-Thomas! The legacy you are creating is inspiring and motivating. We are filled with extreme gratitude to have you both as part of the #SurpriseTheStruggling Family! 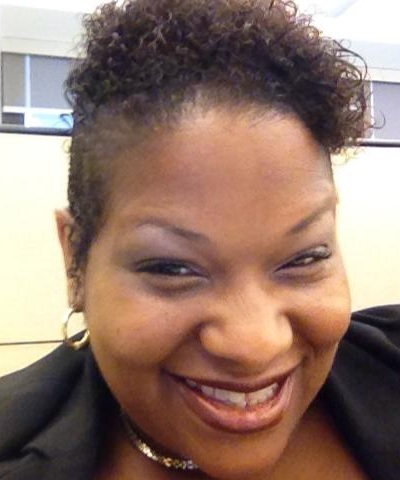 Celebrating Women’s History Month…Charlene Stewart! 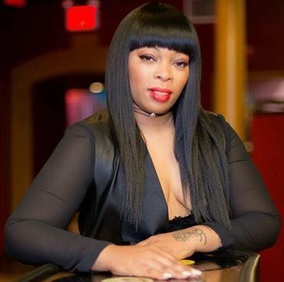 Continuing our celebration of Women’s History Month, #SurpriseTheStruggling’s twenty-sixth highlight this month is the inspirational and loyal-to-a-fault Charlene Stewart—#SurpriseTheStruggling’s example of loyalty and dedication; our tried and true New York Ambassador. That one that will show up no matter what is going on; no matter how tired she may be; no matter what obstacles appear to be in the way—Charlene is faithful to her word and her commitments. #STSGlobal is BLESSED to have this woman be a part of our family. To be able to call her Ambassador, friend, sister, is an honor. Rarely do you meet people these days that jump in first and ask questions later. They see a need and ask what they can do to help make that need dissipate. This is who Charlene is. When she learned of #STSGlobal, she did not hesitate to ask, How do I become an Ambassador? Moreover, What can I do to help and spread the word? Do you not understand how valuable those characteristics are in a person? How, it sets them apart and endears them, making them that much more special to you? Charlene is a very special woman who lays it all on the line every day for her family and close friends. She is the kind of woman that you desire to be on your team, in your corner, to have as a sister and a friend. She embodies the mission and spirit of #STSGlobal wholeheartedly, making her an irreplaceable part of the #Surprisethestruggling tribe, and our success. We have watched day after day, month after month since becoming an Ambassador how supportive and interactive Charlene is. She is not a woman who just speaks something and does something different. No. She is a woman of her word; putting her actions behind what she says. Charlene is creating a legacy of greatness that her family for generations to come, can be proud of and follow in her footsteps. She is a trailblazer going after what God has promised her, and we honor her today. 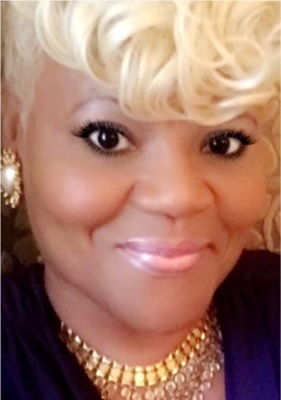 We salute you, Charlene Stewart! You Rock! Your loyalty, commitment, heart, and spirit inspire us each day. We are humbled and grateful to have you be a part of the #SurpriseTheStruggling Family! Celebrating Women’s History Month…Jacqueline Rowe! Our celebration of Women’s History Month continues! #SurpriseTheStruggling’s twenty-fifth highlight this month is the effervescent and uncompromising Jacqueline Rowe—#SurpriseTheStruggling’s example of what it means to live the words you speak. #STSGlobal is honored to have met and get to know the awesome woman who has touched and changed many lives. Jacqueline is the woman behind the scenes as well as out in front, who is doing her part to make a difference in the lives of others; encouraging people to share their truths and face their fears and pain head on. She embodies the spirit of the #STSGlobal mission—to meet people where they’re at…period! Jacqueline helps individuals to move forward and stand up for themselves; taking the steps that they need to get to the life that they were meant to have. When we meet people, we do not always know their story. We may have heard things, seen things, but rarely do we know the story behind what makes a person who they are. What drives them to fight? What motivates them to take on the tasks that they do? If you have the pleasure of meeting Jacqueline, it will become evident that what drives her to fight; what motivates her, is a heart of love. She carries a spirit of love that is immediately felt when you come in her presence. That desire to help, lift up, motivate people to live their best life is evident after spending time in her presence. When she speaks, she speaks with conviction from a place of experience. You know that she has been through something in her life, but unlike some, has managed to grow from and overcome her experiences. Jacqueline is now in a place where she can teach and reach others to achieve the same clarity and power that she now lives and operates. She is creating a legacy that her children, family, friends, and even strangers can glean from for years to come. A legacy tried in the fire and made stronger for it. 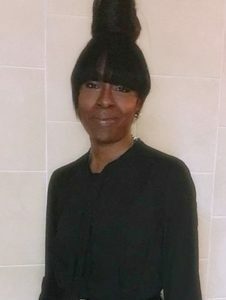 Jacqueline Rowe—Mother, Broker, Deal Maker, P R Consultant, Lifestyle Marketer, Author, Life Coach, Empowerment Speaker, Domestic Violence Advocate, Philanthropist—is the founder of FACE MY ABUSE. “FMA” founded in 2006, is established to address domestic violence against women and girls by increasing awareness, promoting effective policies and implementing potent strategies for prevention and intervention. 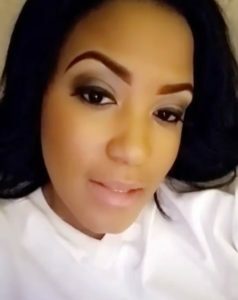 “FMA’s” mission is to advance the health, education, and security of women and girls the world over with a focus on building healthy sustainable relationships defying domestic violence and its impact on not only the victim but by extension the family as a whole transcending the community. We salute you, Jacqueline Rowe! Your encompassing love, concern, spirit, and heart inspire us every day. We are honored to have you be a part of the #SurpriseTheStruggling Family!